The faintest hint of a trombone (not a phrase you often hear) can be seen in the below painting I just added to the 17th century timeline (2nd half). 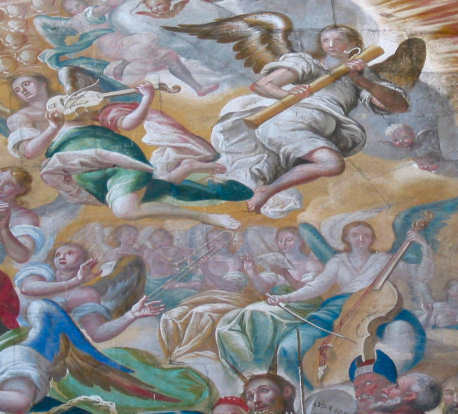 A barely-visible angel playing trombone is found in the middle of the below detail, just below center. Possibly by Antonio Palomino, the wall painting is located at Oficio de San Nicolas in the Convento de San Esteban in Salamanca, Spain. The photo is from this page on dulcian iconography. 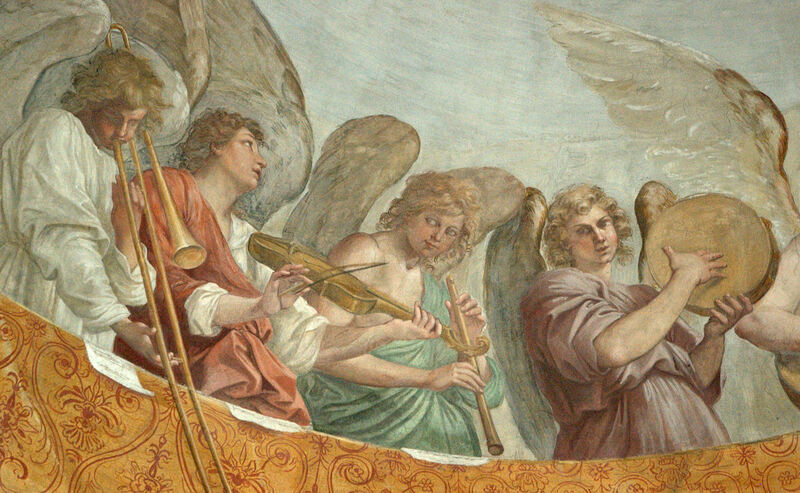 ← Polyhymnia, Muse of Trombone?